Property investment depreciation and negative gearing can be an effective and legal strategy to maximise your tax deductions. One of the major attractions of property investment over other asset classes is the ability to apply annual running losses against other income earned in a financial year. This strategy is called negative gearing. It can result in a reduction of taxable income and potentially a tax rebate when tax returns are done for the financial year. Negative gearing is a contentious issue. For us at Sound Property, it is not a primary investment strategy. It should be viewed as a benefical by-product of investing in well selected properties that provide a yearly return and capital appreciation. The investment must first exhibit 15 Key Investment Drivers that are used to identify the best markets and properties for growth and rental yield, with reduced risk. Is negative gearing for everyone? The answer to that depends on the investor’s financial position and the desired cashflow. 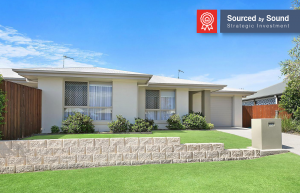 Sound Property utilises a powerful cashflow modelling software to accurately see what the pre-tax cashflow position looks like. We are then able to assist a client and their tax advisor to maximise the after-tax position through keeping accurate expense accounts and depreciation schedules. It is extremely important to understand the cash flow and the relationship between the income and expenses of an investment property. It can make the difference between a solid long-term investment and a costly mistake. Cash flow can be affected by a variety of factors such as interest rates, rental return, running costs and deposit amounts. An investor should have a good indication how the property impacts their overall position and be comfortable that the investment fits their financial capabilities and budget. With the current low interest rate environment, an investor can have it all; capital growth, tax deductions and surplus cash flow. It all comes down to finding the right property to achieve all three. If you are a busy professional that may benefit from such tax incentives, Sound Property would love to work with you and your accountant to maximise your position through property investment. If you are looking to maximise your tax deductions using property depreciation or negative gearing, then please contact us on 1300 655 899.